The Russian Orthodox Parish of St Nicholas expresses its thanks to the parish of St - Viateur for their generosity and accommodation following the devastating fire of 1998 which destroyed the St Nicholas Cathedral. 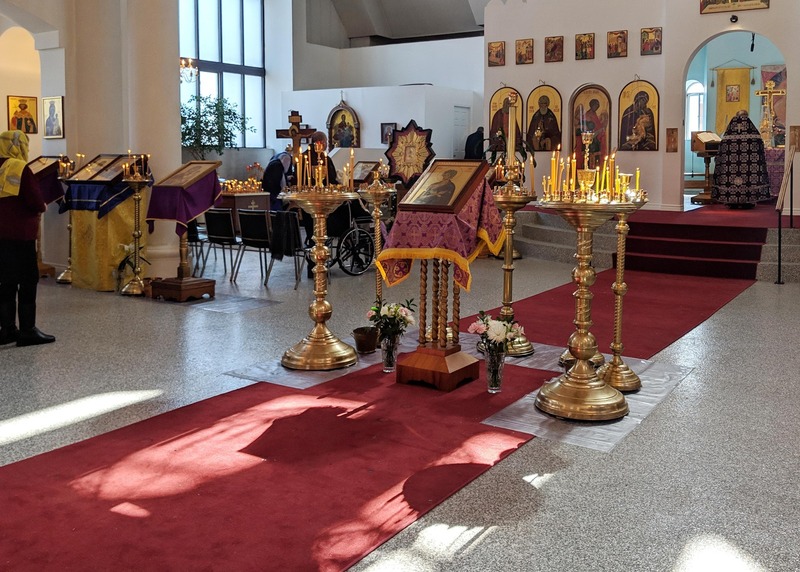 Orthodox Christian Fellowship (OCF) is the official collegiate campus ministry program under the Assembly of Canonical Orthodox Bishops in the Americas. Our mission is to support fellowships on college campuses, whose members experience and witness to the Orthodox Christian Church through community life, prayer, service to others and study of the Faith. At the McGill chapter of OCF, we host weekly discussions with our two beloved priests, Father Jean and Father Ihor who donate their time to guide us through the school year. In addition, we hold many fellowship events such as potlucks and move nights, as well as annual monastery trips and outreach events such as guest speaker discussions. Absolutely anyone is more than welcome to join and we hope to see you soon! We meet on Thursdays at 6pm in the Claude Ryan Library of the Newman Centre at McGill - 3484 Peel St. Montreal. A course on ballroom dancing will be given at our Cathedral, on Fridays from 7 to 8:30 PM, for all ages from 18 to 80, for those who already know how to dance and those who would like to learn how to dance, those who want to acquire a light step, develop their musical ear, meet new people, or simply fill up on a good mood for the weekend. On the program are the Viennese waltz, the slow waltz, and others… as well, by request of the parishioners who would like to revive the old Russian tradition of the Grand Balls, the characteristic ballroom dances – Polonaise, Polka, and others. The first informative and demonstrative lesson will be given this week, October 12 at 7 PM in the church hall. The session consists of 10 lessons, from October 12 to December 21. For information contact Ludmila Krieger. Telephone 514-236-2908. The Russian Orthodox Choir for Children opens its doors to children 9 years and older for the 2012-2013 season. Practices will be held Saturday, 2 times a month at 03:00pm at 422, boul. St. Joseph West (Russian Orthodox Cathedral Saint-Nicolas). FREE. ATTENTION! On September 9, some streets around the cathedral will be closed. Please check the site below. September 22nd - Beginning of the Parish School Year. Sunday September 23, 2012 - Annual Parish BBQ immediately following the Divine Liturgy. All are invited to this annual event to welcome in the Autumn season. For photos of prior year BBQ events please visit our website photo gallery. This year this conference will be held from Oct 3 to 7th at our Holy Trinity Parish in Toronto. Rawdon Parish Feastday: Kazan Icon of the Mother of God. This year Sunday July 22nd, 2012. The parish invites all those present to a Festal Banquet which will be held immediately after the divine services. DIVINE LITURGY to BEGIN at 8:30am on Sunday, June3rd – Day of Pentecost. Mt Royal Cemetery – After Liturgy, approximately 1:00pm onwards. Please Note: June 3rd Tour de L’Ile. Many of the roads around the church will be blocked from 8:00am in the morning until the afternoon. You should check the Tour de L’Ile website for more details.